Ensearch - Products for sailors. Made by sailors. Ensearch Products take a Genuinely Revolutionary Approach to Boat Cleaning! Less Work and Less Time Cleaning your Boat or Yacht, with Superior Effectiveness and Protection for Your Boat! Products for Sailors. Made by Sailors. Our entire company is comprised of lifelong boaters and sailors. How do we clean and protect our boats without damaging the sensitive gelcoat, the oceans, seas and lakes? These are the criteria for our product development team! Ensearch Formulations have been developed and tested throughout the world, on all types of boats, for over 25 years. Ensearch yacht and boat cleaning products are marine specific; designed to meet the demanding requirements of the harsh marine environment. We don't do anything else! 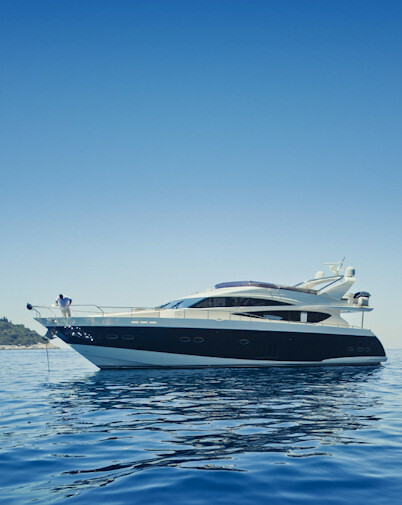 Our unique approach to cleaning and maintaining the delicate gelcoat on fibreglass boats and yachts is what makes Ensearch the technology leader in Boat and Yacht Care Products. Our products are highly effective and also biodegradable. Contact us and we will be glad to talk with you more about how, and why, the Ensearch way will keep your boat or yacht looking great!